Roy Richie Partners is the affiliate program for Roy Richie casino featuring top gaming providers. If they’re in search of an affiliate program that offers generous commissions then players would do well to check out Roy Richie Partners. This program will allow affiliates to promote the Roy Richie sportsbook and online casino brand. While relatively new, this sportsbook and online casino has been garnering a lot of attention thanks to an impressive selection of casino games and sportsbook markets as well as generous bonuses and promotions. As a result of these, players who are referred to the brand are more likely to register and deposit. 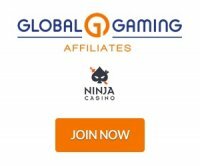 Affiliates who manage to successfully promote the online casino and sportsbook will get to enjoy some of the most rewarding commissions in the industry. On their first three months, affiliates will have a fixed 40% revenue share commission regardless of how much net revenue their referrals generate. After this, the program will then enforce the normal revenue share commissions rates that start at a generous 25% and can go as high as 40% per month. In addition to this, affiliates will get diversify their income streams with a sub-affiliate commission. If they’re able to bring in other webmasters/affiliates, the program will reward affiliates with a 2.5% share of each of their earnings their sub-affiliates generate on a monthly basis. When it comes paying out commissions, Roy Richie Partners ensures that its affiliates receive what is due to them in a timely manner. The program currently supports payment methods like Electronic Transfer, Skrill, and Neteller. Payouts of commissions for a specific month are processed and made within 10 days at the start of the following month. In order for affiliates to get these payouts, their commissions for the previous month need to be equal to or greater than €100. In the event an affiliate’s commissions fall short of this minimum requirement, the program will then defer the payout to the next month or when the commissions finally reaches the amount needed for processing. As for negative commissions, affiliates need not worry since the program’s no negative carryover policy ensures that these won’t affect their future earnings. Roy Richie Partners understands how important marketing and promotional tools are for the success of their affiliates referral campaigns. As a result, the program makes use of Paysafe’s Income Access platform to provide affiliates with all the support they’ll ever need. Once they’re officially part of the program, affiliates will have access to promotional tools such as banners, links, and mailers that they can then use on their affiliate sites. And since the program uses the Income Access platform, affiliates are going to have a relatively easy time when it comes to monitoring the progress of the campaigns that they’re running. Finally, the online casino and sportsbook also seeks to provide its players with outstanding customer support for a complete sports betting and casino gaming experience. After receiving its license from the Malta Gaming Authority in 2016, the Roy Richie sportsbook and online casino brand (owned and operated by BTM Entertainment Group) has been on a roll. It currently boasts of an impressive library of casino games from NetEnt while its sportsbook and live betting solutions are provided for by Evolution Gaming. Other than these, another reason for the online casino and sportsbook’s growing popularity is its generous welcome bonus offers. For their initial deposits, newly registered players will get to enjoy 100% match bonuses that can go as high as €100 and €200 for the sportsbook and online casino respectively. In addition, the brand also has a promotion that allows players to get free bets of up to €10 if they lose the first bet they make on the sportsbook through their mobile devices.